I stumbled across this phrase last Friday and I haven't been able to get it out of my mind. So often in life, I become disgruntled with where I am. Maybe it is social life, maybe it is dating life, maybe it is performing or work or living situation or family or or or. 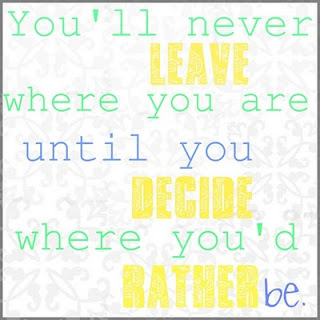 The thing is, in order to make a change, I have to decide where I would rather be before anything is going to happen. I have to take action instead of just sitting back and waiting for life to happen. I have to decide where I would be happiest and get there. My destination isn't going to arrive at me, I need to arrive at my destination. 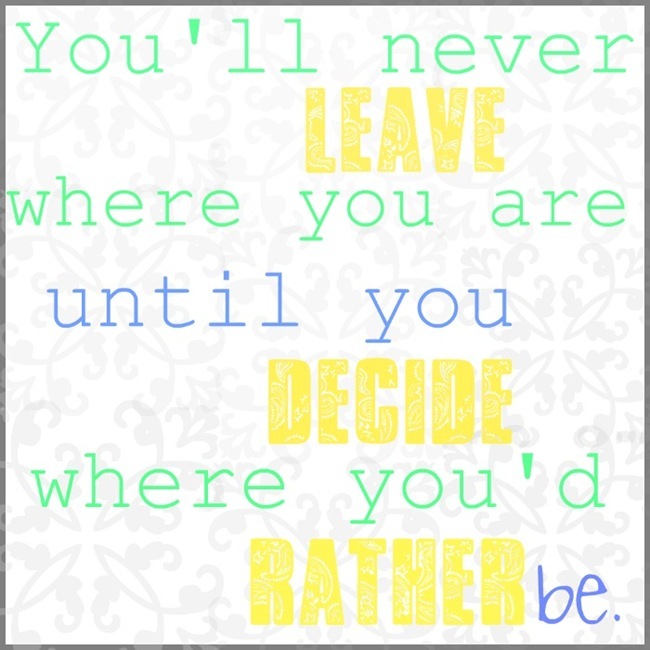 I think I know where I want to be, but I'm terrified of what I have to do to get there. Change is scary. Exciting too, but I'm kinda stuck on the scary right now.